Lead is toxic to both children and adults, and can affect almost every organ and system in your body. You can be exposed to lead or lead fumes while making your own fishing weights, or by inappropriately handling pre-made weights. Children are especially vulnerable, but adults should take precautions as well. Use non-lead fishing weights where possible. Never throw old fishing gear into the water or discard along shore. Don’t put split shot in your mouth or bite down on split shot —use pliers. Wash hands thoroughly after handling lead sinkers or cleaning out your tackle box. 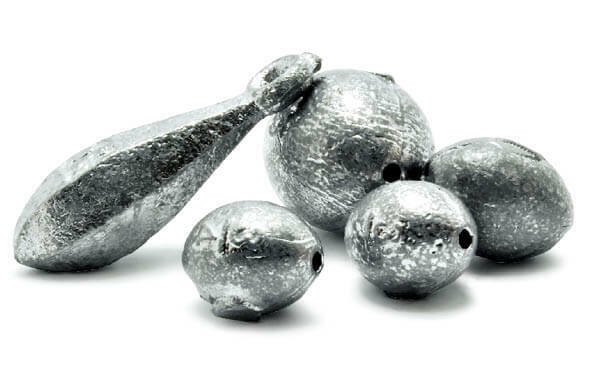 Take special precautions when making lead sinkers or jigs. Spread the word. Encourage other anglers to switch to lead free sinkers and jigs. Talk with your favorite retailer and ask them to stock non-lead fishing tackle. If you’re making your own fishing weights, never melt lead inside your home, always work in a well-ventilated area and wear a respirator mask, and be sure to wash your body and clothes after working with lead. Non-lead fishing tackle is not just a novelty product. There are several alternative materials available — tin, steel, bismuth, brass and tungsten. Ask for it at retailers and stores. Or search the internet for on-line sources. While the impact of lead hunting ammunition on the environment and wildlife has been documented, the impact of lead tackle on fish or fish predators is less clear. However, lead is toxic to almost all organisms and has no biological benefit in any amount. So a cautious approach is to Get the Lead Out.